The SK-ACP-NE is no longer available. You will automatically be upgraded to the newer SK-ACPE-NE at no charge. The SK-ACP Advanced Control Panel is a highly sophisticated, yet simple to use, two-door access control unit. 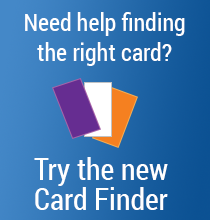 The unit accepts readers that have a Wiegand output with almost any card technology. Each of the two doors controlled by the unit is completely independent of the other and is configured, programmed and viewed separately. Each door has a separate node address. Each door has two programmable inputs which may be programmed to function as a door open, remote inactive, door monitor, tamper, arming circuit, door unlock, or user defined input. Each door has two outputs. One output is the relay that activates the door-operating device. 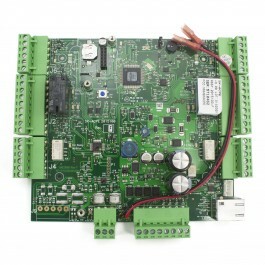 The other output is programmable to activate under one of many possible alarm conditions, time zone or card violations. As a stand alone, the unit may be programmed using a PC either locally or via a modem over standard phone lines. Transaction information is stored by the unit and may be downloaded to a PC or printer. 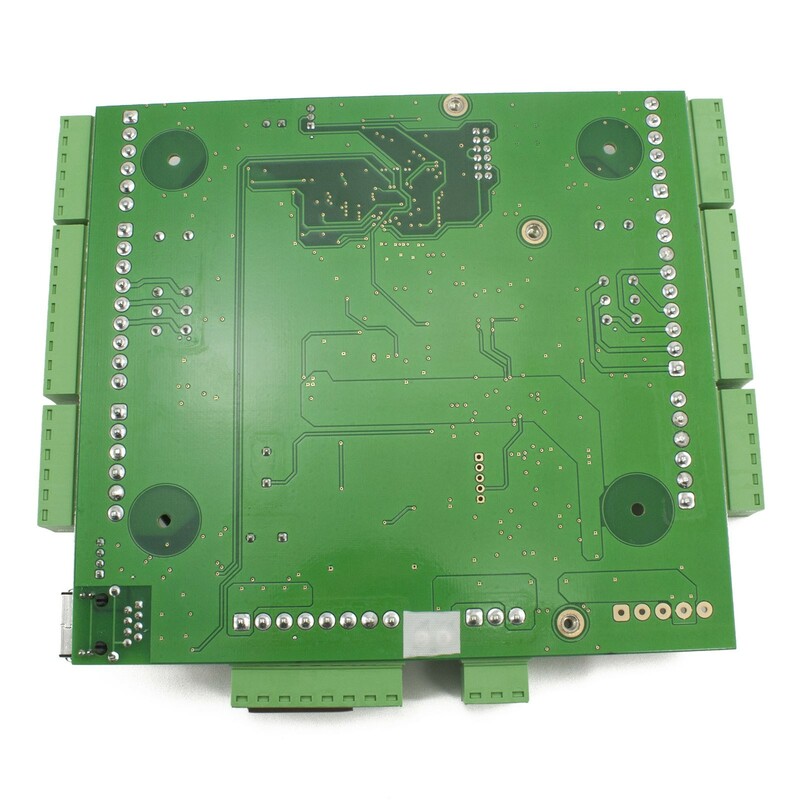 The SK-ACP includes an on-board connector for either the SK-LAN-MOD network adapter module, or the SK-WLS-MOD wireless LAN module (802.11 b/g). 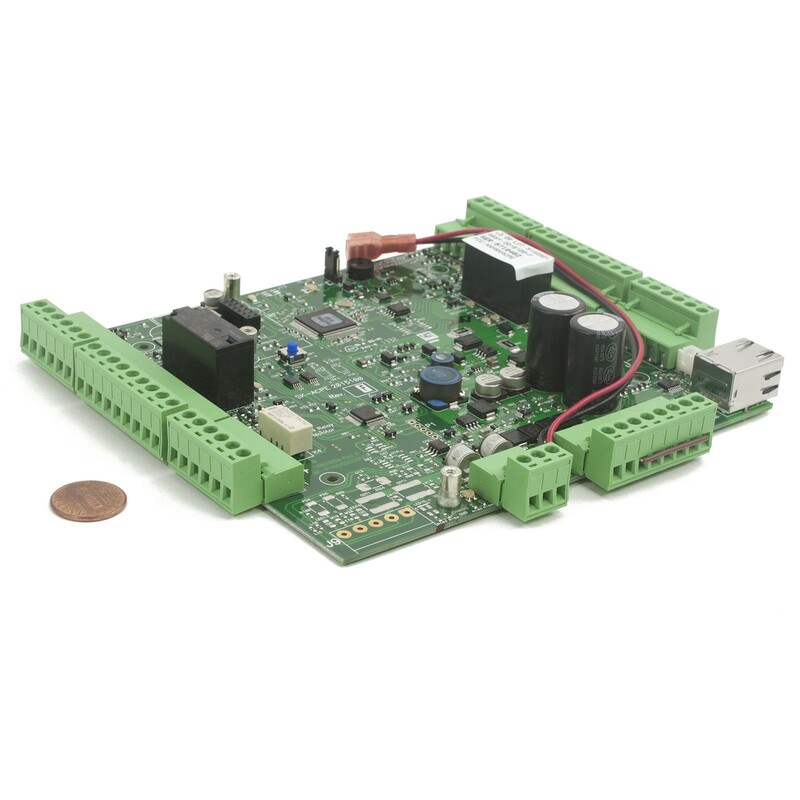 Our advanced control panel features built-in Ethernet, improved surge suppression, more transaction storage and a faster 32-bit ARM Cortex RISC Processor.